I promised to report in greater detail about the demo that I experienced at the recent Newport Show provided by Wireworld. 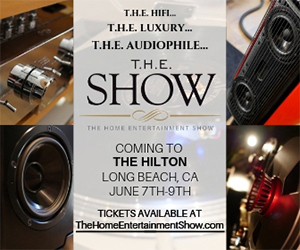 Their PR person reached out to me as an audiophile blogger and asked if I would like to schedule a time on Thursday…to see the cable “polygraph” in action. I was completely open with the young lady that contacted me. We exchanged a couple of emails regarding whether I would be allowed to record the session and whether David would use one of my own tracks to do the demo. She responded that I could bring my own tracks and the recording the demonstration would be fine. That was certainly a good start. I left my own sales table in the later afternoon and went upstairs to visit Wireworld. Brent Butterworth was sitting on the floor taking an extreme close-up of a cable when I entered the room. We chatted briefly before he left and we got down to the serious business at hand. My experience with Wireworld is extremely limited. I don’t recall having met David Salz at any previous audio event. He was very accommodating and actually seemed to get behind some of the things I have written about competing cable companies, which was surprising. He believes that the shenanigans that other companies seem to enjoy damage the reputation of legitimate vendors of high-end cables. The gist of his presentation is to allow listeners to “quickly” compare the sound of very short cables (he refers to these as the “no cable” reference) with other cables. The Wireworld setup consists of a couple of moderately capable speakers (Triad Cinema Reference Surround 2). They were chosen because the connections are located at the top and not because they are particularly good speakers. A couple of Bel Canto M500 Mk2 mono amplifiers were placed on top of the speakers to allow a “no cable” banana plug and spade lug soldered together to deliver the signals from the amplifier outputs to the speakers inputs. NOTE: Lest we forget, there is additional cabling inside the speakers and amplifiers. The player was a Bryston BDP-2 high-resolution file player. I brought along a USB stick full of real high-resolution audio files (96 kHz/24-bit PCM). We settled on the tune Mujaka performed by the Latin Jazz Trio. It’s a fabulous recording and a perfect demo track because of the metal percussion, full range grand piano, and acoustic bass. The tests alternated between the “no cable” and two versions of 14-gauge copper wire with clear shielding. The zip cords were 10 feet long — one with the hot and low lines together and one with them apart. David and his assistant went back and forth between the “no cable” and the zip cords…and I’m sure they expected me to register some dramatic or even subtle change. It didn’t happen for these ears. The fidelity of the “no cable” was identical to either of the zip cords. If there was a subtle “bass extension”, “addition of low level details”, or the music “came back to a happy place”, I missed it [NOTE: A “happy place”…really?]. And I know others who have experienced this very same demo have said the same thing. Nothing changed. The sound was the same between the “no cable” and the 14-gauge zip cord. I’ve read other reviewers state that the “14-gauge zip cord was awful. It sounded like the system died, and lost all life.” But I seriously doubt this assessment since I heard the comparison myself. It didn’t sound awful or even a little different. As expected at that price point? Wait a second. This is the best example of expectation bias I’ve ever read. The author knew the expensive cable was in place and therefore the sound had to be the best. Come on. 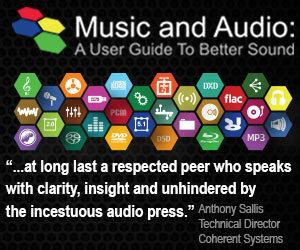 I had a very similar experience with Audioquest at CES a couple of years back. A rep was conducting a demo for me with various Ethernet cables and their prototype USB noise removal dongle. Long story short; I couldn’t hear a difference between regular Ethernet cable and their expensive stuff or with and without the USB noise dongle. If folks have the available scratch to decorate their systems with pricey wire, more power to them. I have better and more substantive things to spend my audio “mad money” on. The Cableator AKA the Cablegraph isn’t that well thought out in my opinion. Firstly those are rear surround speakers that will mostly be installed with in wall wiring which is a 14 or 16 gauge shielded, wall rated, “zip cord”. So they are likely designed to sound as they should with that kind of cord. So is Wireworld trying to prove they have better cables than Zipcord? I don’t buy the “No cable” bit. For anyone who has worked on the inside of a speaker knows there is usually average 14 gauge wire from the banana / spade connection to the crossover. So trying to simulate no cable is pointless because there is always cable. If fact there is always enough cable that a A/B switch box connected to the speaker using the same wire as inside the speaker would be the best and immediate Cablegraph test. If you used an integrated amp with two sets of speaker outputs (A and B) then just switch between the two. You could jump back and forth instantly between cable A and B. The switch box would feed the signal to the speaker using an extension of the speakers same internal wire, there for not being a weak point and then anyone could A B their cable vs a competitor. I have not heard Wireworld cables and they may be very nice, but this seems a little gimmicky to me and this gets my spider sense up that somehow they are trying to fool you. I wish the cable manufactures would just put their best foot forward and sell good products for a competitive price. The audio industry has become “dark” enough with out all the gimmicks, and expensive ones at that. I agree that this methodology is seriously flawed. Once again, it’s clever marketing and spin over actual A | B comparison. I use my console to do seamless switching when doing comparisons. The speakers were definitely the weakest link in the sound. For any wire there are 3 metric considerations. Impedance (load), gauge, and length. This was true and still reigns as plausible now as in the early days of radio’s 90 plus years ago. Roger Russell of McIntosh fame said it best, zip cord is just fine with me. Well close enough. Just imagine how many dollars have been discarded for the next new “trick”. Perceived needs and waste are the domain of fools. But they’ll add one undeniable fact, “I belong”. Made my day. Too many think price equates quality. And many have developed a taste for a certain fidelity that upon hearing high end recordings closer to the source cannot sway their opinions or habits. Case in point. My brother, soon after his wedding bought his first Radio Shack system. He invited me down and it sounded horrible. I checked his settings and treble and Mids were cranked up unusually high with bass almost turned completely off. I said why are you listening to it this way? He said that was how he was used to it on his car radio. Sheeesh! Imagine how those Super Bass boxes booming in a car trunk have affected others. Unreal. Just want to encourage you and express my pleasure in reading each new email and experience that you write about. I look foreward to getting new ones and have never yet been disappointed. I was a high end stereo equipment sales person in the 80s we used true a/b comparisons and installed everything ourselves. It was loads of fun showing new owners the amazing systems that they purchased. So I have an appreciation and respect for your evaluations and disclosures.keep it coming. No privacy concerns if you can use any of this, thank you again. The test of how a wire affects system performance is to test it against a shunt, not against another wire. For anyone who has played with relays, building such a test device should be easy. In fact if you have an old preamp or receiver with tape outputs and tape monitor inputs, you already have such a device for testing “interconnects” built in. Just place the wires under test as jumpers between the tape out and monitor in. Switch the monitor switch back and forth between source and tape. If you hear any difference at all, throw those wires away, they are distorting the signal. I have never tested a $1 interconnect this way that failed. Your assessment matches what McIntosh proved way back in the 80’s that regular old zip cord sounds just like the expensive cables. Nothing has changed other than the construction of Wireworld cables is much nicer than zip cord. Glad I don’t live there! I been approached by the “everything is out of phase guy” and actually read some of his statements on his website. Crazy! I just find it so strange a group of consumers seem so attached to evaluating cables when there are so many other interesting audio components that can have a real impact on the quality of reproducing recorded sound (amps, DAC’s, turntables, tape decks, speakers, etc). Not to mention audio file formats and recording techniques. The same thing with power supplies and power cables. Did you by chance mean “Power conditioners?” Because I can assure you that power supply design makes a huge difference, plus I don’t know how you would compare power supplies. I’ve had very good results with CAT 5E or 6 ethernet plenum (Teflon insulated) cable as speaker cables, one cable – all eight wires tied together, to each terminal, equivalent to abut 15 ga.- and downright cheap. That’s a new one to me. Sounds interesting. Didn’t test the Wireworld cables? Why not? Who knows, they might have sounded worse than standard 14 gauge copper wire. But seriously, Mark, while I dont expect differences between ‘no cable’ and ’14 guage wire’, when last did you test your hearing? Pictures of you show a middle aged person and it is a fact that hearing sensitivity in this age range certainly does not cover 20hz – 20khz. Let’s assume your hearing stops at 15khz. 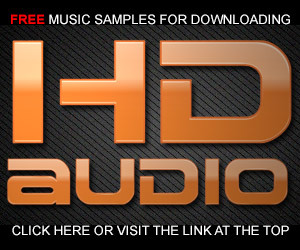 How can you then use your ears as a metric device for HD recordings or speaker cables? This is a serious question – maybe there is a something in acoustic physics I did not learn at University. James, I’ve made no secret of the fact that I’m 63 years. I last had my hearing checked about 3 years ago at an AES show. The test indicated that I had the hearing of a person in their 20s…that’s what the person doing the test told me. And the graphs that he printed out indicated my hearing was much better than I expected. I fully expected to have some diminished capacity. There are other younger engineers in the building and I routinely ask them to listen to A | B comparisons…they’ve never had a contrary opinion. But seriously, James, while I don’t expect differences between ‘no cable’ and ’14 gauge wire’, when last did any cable believing audiophiles test their hearing? Pictures of them often show a middle aged person and it is a fact that hearing sensitivity in this age range certainly does not cover 20hz – 20khz. Let’s assume their hearing stops at 15khz. How can they then use their ears as a metric device for HD recordings or speaker cables? This is a serious question – maybe there is a something in acoustic physics I did not learn at University. Well you do have to give them credit for not trying to use some “shenanigans” to throw the listening tests. Your problem Mark is that your just not a BELIEVER. Had you belonged to the Church of The Holy Cable, you would have heard all the descriptive audible prose they would have set you up with. Smart guys really, they knew they were being watched, why blow their creds by possibly getting caught cheating, it’s not necessary. I hope they remain this honest at all times. Don’t get me started on the AudioQuest issues from back in January. USB and HDMI digital interconnects are no capable of improving the fidelity of a digital signal passing within them. Period. The 5 star reviews on the Best Buy site for a $1000 AudioQuest HDMI cable have to be bogus. There are services that will prowl around the web writ9ing fake positive reviews. These certainly sound like fake reviews IMHO. Given the nonsense that we saw in the YT video about AQ HDMI cables earlier in the year, it wouldn’t surprise me. The reviews reflect the feeling of this community and are tongue in cheek 5 stars. Lots of comedy gold here! For example; This is the only cable that can provide the necessary bandwidth for displaying real-time readouts from my Flux Capacitor since I updated the multi 8 bit LED display to 4K. An unexpected side-effect in updating the display was realizing that I only needed to hit 87.5 MPH before, and I had been rounding up unintentionally this whole time. The lower speed threshold correlated nicely into a reduction in plutonium requirement. I don’t think I need to tell you, but the cost savings in my monthly plutonium bill has more than made up for what seems to be an initially high price for a cable. I’ve been using this cable for 47 years, and can tell you, these things are made to last! That “wire” sales, scams, and belief systems continue into the 21st century simply amazes me. It’s trivial to measure wire properties, and know for certain the effects of “wire” on audio signals. Has the entire audio world gone mad? Does nobody understand how science works anymore? You might be interested to know that I’m now working on a device that will “null” any two wires and present the residual output if it exists for analysis. 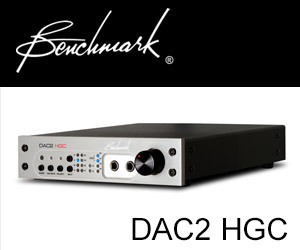 It will also test other audio device in real time such as amplifiers and preamps and DACs. I don’t know if there could be enough commercial interest to make and sell a bunch of them, but at the minimum I’ll build one and and offer it for loan to folks like John Atkinson. :->) Or maybe I’ll write it up as a DIY article for a magazine such as audioXpress. Sounds very interesting Ethan. I’d love to check it out myself. What I can’t stomach the statements that bloggers and audiophile reviewers make about tests like the one conducted by Wireworld. The only motivation I can think of is the ad dollars that flow into these sites. Can you really trust a writer that has a whole list of banner ads from cable companies to review those same cable companies? Did the authors really hear “awful” sound? It was at CES. The cable company had set up two identical systems in one room, each using different cables. Everyone agreed that there was more bass from the system using that company’s cables. But no one commented on the fact that the speakers for that system were nearer a room corner! And many’s the time, I’ve heard demos at CES where listeners were presented with a system that probably few had ever heard before, in a room they hadn’t been in for a year (if that), and sometimes with unfamiliar recordings. But when the vendor said “See how much my cables improved the sound,” they nodded and agreed. All that could be said for sure was that, since the sound was good, his cables hadn’t screwed it up. So despite investment into a “polygraph”, they don’t actually do any blind testing. That makes it an exercise in the placebo effect. But believers are going to be believers. And you not hearing anything is no different. Your bias against hearing any differences is as strong as those that expect to. We all can’t be wrong. I believe reviewers often inflate the level of difference, but there are differences. I’ll trust my own ears. You used to be interesting, you used to share information that helped educate us. Now, it seems like you are on a crusade to discredit the world you are a part of. I agreed with your platform on what is h-rez music, although I do believe analog tape masters sound better transferred over at a minimum of 24/88. If for no other reason that it moves the brickwall filters up to a higher frequency. The only people who have any interest in your recordings are audiophiles, and most of those people have carefully chosen cables for the systems that allow them to benefit from your recordings. The guy with a mid-fi receiver, zip wire, and some generic speakers, probably won’t hear any difference in your recordings. Why not end the crusade and get back to topics of interest like you used to write about. Thanks Jeff for the comments. The myth about cables continues and will undoubtedly continue with testimonials from people like yourself and the “professionals” who write about the idea that an HDMI cable will magically increase the fidelity of the digital stream passing inside of it. I agree that transferring analog master tapes (if you can find one…they don’t get used at the labels as the source for the high-res transfers according to the head of WB Records mastering) at 96 kHz/24-bit PCM would be the ideal spec. I do disagree with the assessment “The only people who have any interest in your recordings are audiophiles.” The majority of AIX sales happen through the artists at their gigs or through their websites OR through NAXOS distribution into traditional channels. Sure, the audiophile community loves these recordings, but I am very gratified that the universe of AIX customers is much broader than audiophiles. Mark, I agree with Jeff, but for entirely opposite reasons. With your many achievements (great recordings!) you deserve not to become pigeonholed as the James Randi of the audio world, known only for debunking hokum. While many of us agree that if there are any differences at all between competently functioning speaker cables and interconnects (either analogue or digital), they’re extremely slight (and I am increasingly skeptical they exist at all), you will *never* convince those adherents who think there are. For them, it’s a matter of religious conviction. I”m sure they would die rather than recant. 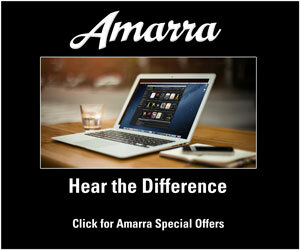 So don’t waste your time or, potentially, hurt the market for your recordings. Thanks Jon…I get it. The positions are pretty much etched in stone. I would hate to think that someone such as yourself, dedicated to excellence and fidelity in sound and to truth in audio discussions, might rely on audiophiles for sales.That is quite a poor match between supplier and customer, the latter being demonstrably far more loyal to cults, irrational belief systems, traditions and propaganda than to something as simple as rational progress based on demonstrable performance. I’m thrilled when I get an email from someone that has purchased an AIX Recording at a concert. I recall a woman who wrote me and told me that she had the John Gorka “The Gypsy Life” DVD. She had purchased John’s latest CD at one of his shows but told me she couldn’t listen to it after being used to the sound on my recording. My comment about audiophile recordings was in response to a private email from a prominent Australian audiophile reviewer who stated, “Except he hasn’t produced one interesting title. Ever. So who cares how great it sounds if the content is lame…” I wonder how many of my many thousands of customers would agree with this guys assessment? Given the diversity of the catalog, the only reason I can think that guy expressed this opinion is that he doesn’t like music. Oh well. Just as some audiophiles may “pre-condition” themselves to expect an improvement, your long held belief system could not possibly have left your being just as you reached the Wireworld room .I too have undergone Davids’ test and found it to be not particularly insightful however. This is just another reason why the best evaluation of any audio component should be to simply change the one thing under eval w/ in the context of a ref-grade, honest playback system, and listen to music as normal. Whatever sonic differences/improvements/ retrogression appear during a sustained period of ‘no test tension’ listening can at that point be attributed to the one item that was changed,but if toeing the line as you prefer, ,”in that system context” must be a phrase that is used as a qualifier. I can get behind your suggestion. We’ve seen that cable demos are often rigged or juiced to produce unreal results. As for my own bias, as an audio engineer, former electrical repair technician, and computer scientist, I still have ears. In fact, I made my living for 16 years as a mastering engineer. I know how to listen and I know how to evaluate qualities of sound. There was no fidelity difference between the cables used in the Wireworld demo. There were differences when the Nordost demo presenter switched out the power cord of their CD player…but in my estimation, they were not result of the cable. Having just followed Benchmark’s preferences for cabling, I am having a bigger problem with agreeing that cables make no difference. Since changing from Home Depot wire to decent Star Quad cabling throughout the system, I’m hearing more detail and better tonal qualities. It’s not a night and day difference but for less than a couple of hundred bucks I’m very, very satisfied that there is an improvement in musical presentation that is commensurate with the level of investment. That Benchmark, a company I trust completely, expressed certain preferences on their website was enough to convince me to give it a go. There was no trickery involved, merely the sale of pretty modestly priced cabling that has made a difference for the better. The problems start, however, when wire companies try to justify spending obscene amounts of money. In my view there is a small, but appreciable, advantage in a well insulated, well terminated cable over the bog standard high street variety. But there it ends. Chris, star quad cabling for certain interconnects can eliminate external interference and lower the noise on the analog side of things. I’m not sure what you changed from Home Depot cable to star quad but it would undoubtedly be better if your system has lots of RF or line noise. My point is that a power cord, USB, or HDMI cable will not and can not change the fidelity of a system. I’m moving on. 1. A word used too infrequently when referring to hi-end audio companies and their demonstration practices.